On December 26, 1963 Capital had released the Beatles “I Want to Hold Your Hand” (“I Saw Her Standing There” B-Side) It hit number one on February 1, 1964. Exactly a year later, on December 26, 1964, their “I Feel Fine” was the Billboard #1 single. 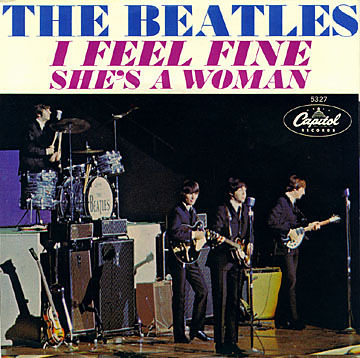 Their sixth #1 song of 1964 in which they had 30 entries on the chart, giving them a total of 18 weeks at the top of the charts. Alan W Pollack has a site called soundscape.info. It is an amazing site for anyone, but particularly for Beatle fans who want to learn musical details. And that’s just the start. 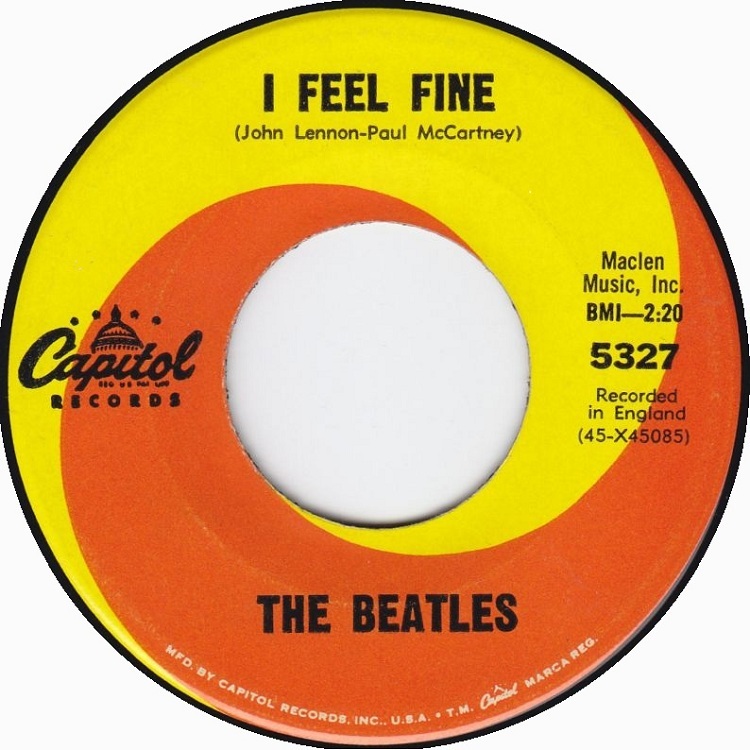 Go here (Soundscapes site) if you want to learn more about the musical structure of “I Feel Fine” than you ever imagined. For those who first heard the song on November 23, 1964 (its US release), its famous intro, was an odd surprise. Perhaps even confusing. What was that? Was is a mistake? Why would The Beatles put a mistake at the beginning of a song? Of course it was no mistake but it is, apparently the first time that anyone had deliberately place feedback on a recording. Oh you Beatles you! The rule that Paul writes the happy songs and John the disillusioned ones just doesn’t work here. The exception proves the rule.